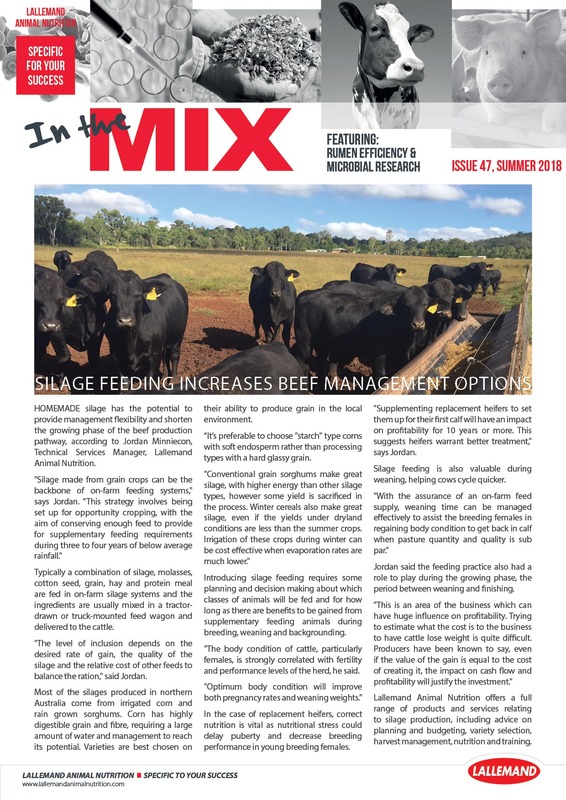 In this edition of In The Mix we look at how silage feeding increases beef management options, review the latest in forage preservation presented at the International silage Conference held in Germany, and how a new innovative biofilm called Lalfilm Pro is challenging biosecurity in the livestock industry. Download today and keep up-to-date with Lallemand's movements in the world of forage and feed ingredients. 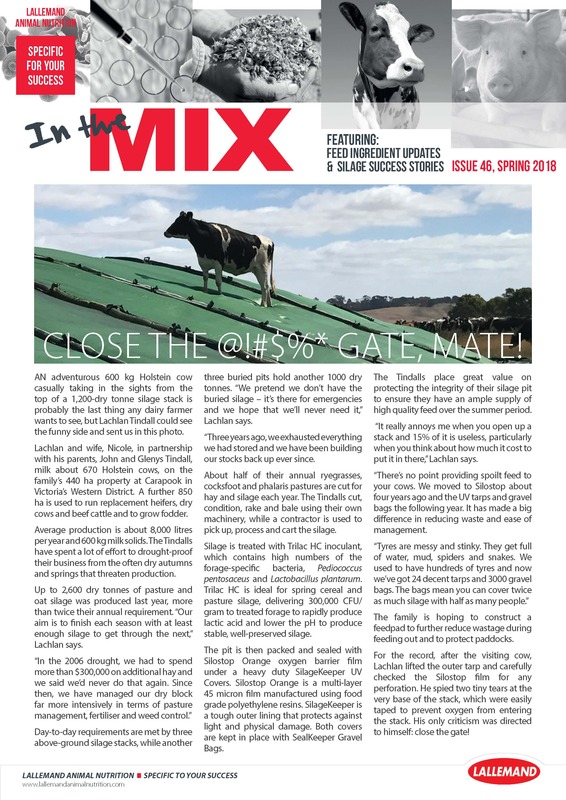 This issue of In The Mix, Issue 46 takes a look at the use of HayKeeper Covers on farm, what it means to make high moisture corn silage, receiving the Australian Certified Organic tick on three feed ingredients and much more. Download today and keep up-to-date with Lallemand's movements in the world of forage and feed ingredients. 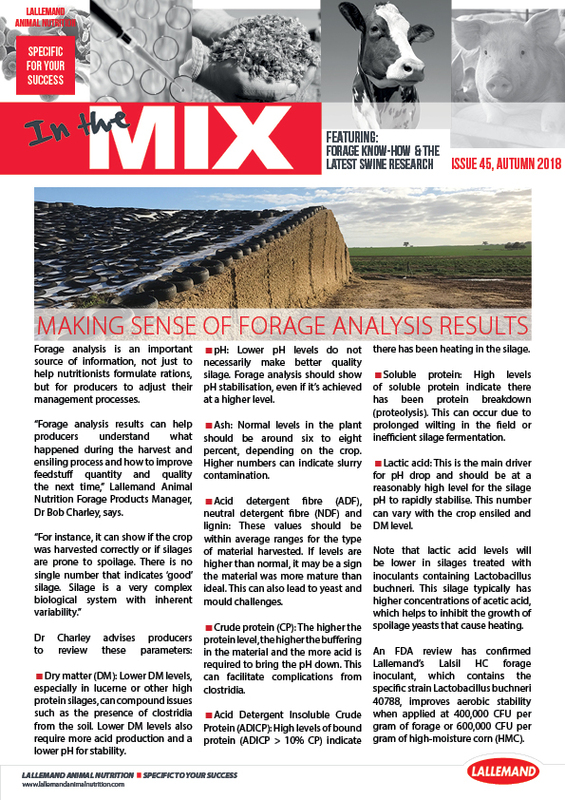 In this edition of In The Mix we ask Lallemand's Julien Sindou five forage questions, take the time to make sense of forage analysis results and recap the latest swine research that was presented at the 9th International Levucell SB Technical Meeting, held in Vietnam last year.